First, here's a look at the box! As you can see, the box is about the size of BattleCON: Devastation, but a little over twice as tall. And it's plenty full of gameplay too! You can see Devris and Juno, two of the first season's bonus fighters, in this shot. They're not part of the collector's edition (they were add-ons), but their proofs came in the same box, for the sake of easier shipping. 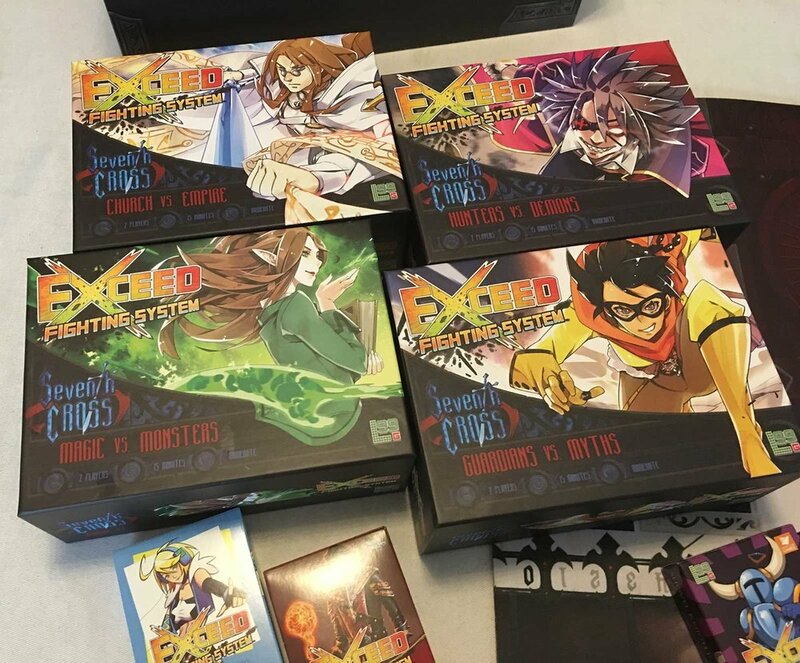 Each of the 4 retail boxes has 4 Tuckboxes, 4 Fighter decks, rules, space cards, and a flier to tell you how to get involved in our Organized Play Program! 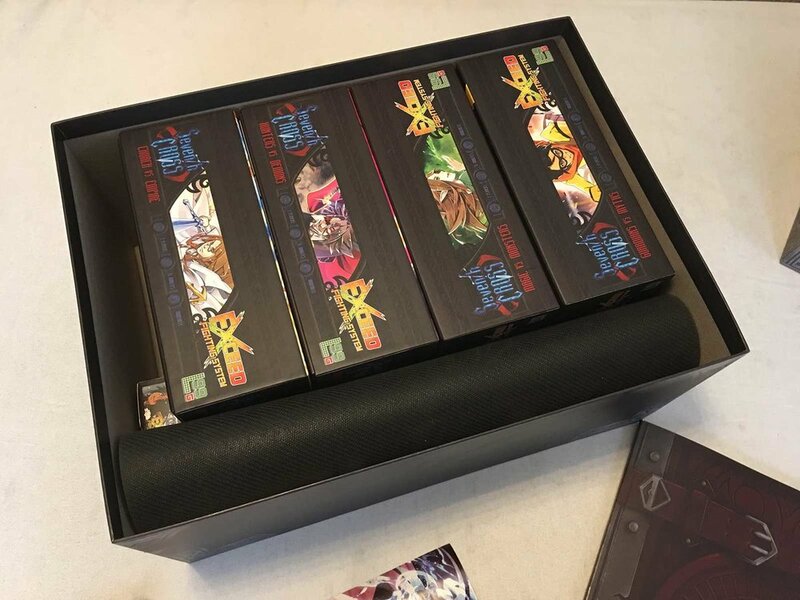 I sleeved and assembled one deck in this picture, so you can see how the sleeved card decks fit perfectly into the tuckboxes! If you want to get these for yourself, they're available in our online store! Pre-orders will ship out from our warehouse the same time as Kickstarter Pledges, so don't wait to get a copy! Follow us for news and updates on Exceed and other games! Thanks for checking out this preview of Exceed: Season 2, featuring the characters and world of Seventh Cross. Seventh Cross is an adventure board game that's coming later this year from Level 99 Games! You can check out the game and learn more about the world and characters on the Seventh Cross Development Blog.